We submit a new update of this map whose author has released a new version making a largest map, with the effort of 400 hours of work and now has several new features. Eldaria Island 1.6.2 has new islands, like Skylia, Reichi, Archalia and a island with a volcanic biome. According to its author biomes are inspired by Skyrim, has mountains over 256 blocks high, this biomes are exclusive for the desert, a single biome mountains, rivers, huge trees, waterfalls, temples, caves, villages and dungeons. 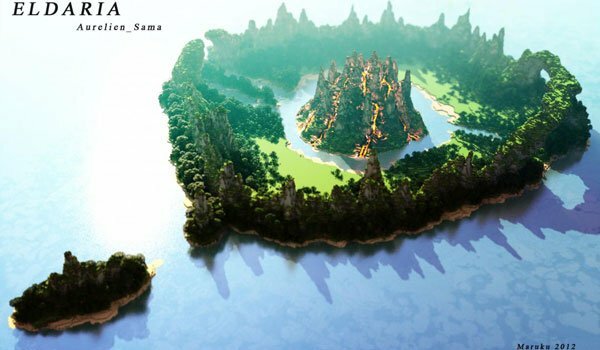 How to install Eldaria Island Map for Minecraft 1.6.2? Start exploring and enjoy the view!